Cinderella Castle at the Magic Kingdom is the most photographed icon on earth for good reason – it’s absolutely gorgeous. 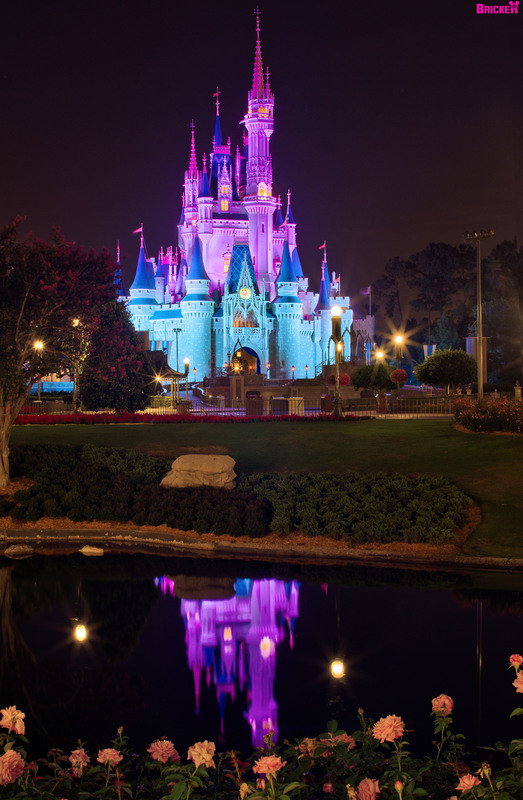 Whether you’re a casual tourist visiting Walt Disney World Resort for the first time, or an experienced photographer looking to avoid the typical “tourist” photos, it’s difficult to resist the photogenic allure of Cinderella Castle. Great reflection! Also love the way you managed to get a few flowers in there at the bottom. Getting those flowers required (way too much) tripod maneuvering, but I’m glad I did it! I like the “layered” finished result. GAH!! This is one of my favorites of yours!